PlasmaCar $39.99 shipped! + Giveaway! 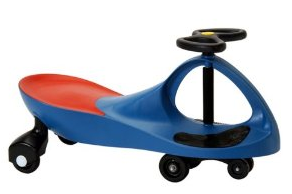 Amazon is selling the PlasmaCar Blue for $39.99 shipped! (orig. $69.95) This is the lowest I've seen for a new one! You can also enter to win one! The giveaway for a PlasmaCar ends 7/23! These are so fun!! See my review here. Thanks Fabulessly Frugal!